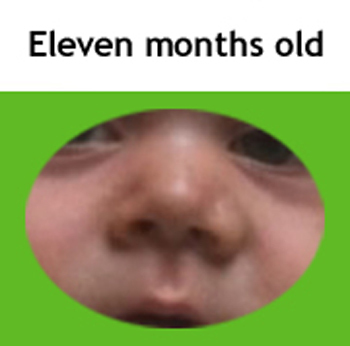 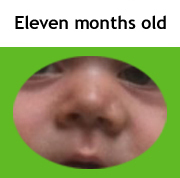 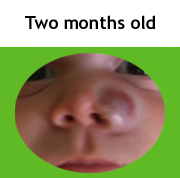 Two months old: Congenital hemangioma of the nose with extension towards the cheek , the upper lip and the inferior nasal turbinate . 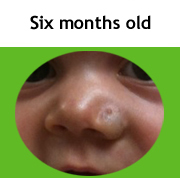 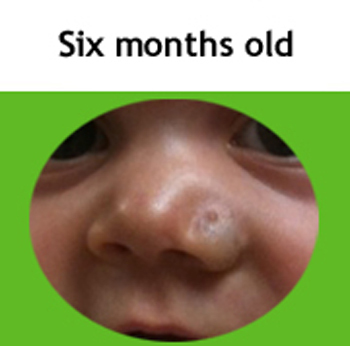 Six months old : Hemangioma of the nose after two sessions with KTP laser . 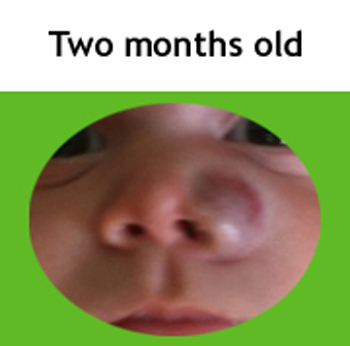 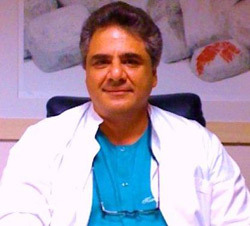 Eleven months old : Hemangioma of the nose after four sessions with KTP laser and systematic use of Propranolol .